Sometimes I do this thing where I decide on a project I want to do and get all excited, I think I’ll put it up here on the good ol’ blog with pictures and everything. Then somewhere along the way it doesn’t happen like I think it should so I just abandon all hope of sharing with you and just…don’t. It probably has something to do with this nasty habit of wanting to make everything perfect. It’s not going to be perfect because life is not perfect. I know that all I can do is my best…but sometimes that just doesn’t seem like enough even though I’m sure none of you would know the difference. That’s not a snide comment at you, how would you know I messed up the pictures or started three times? You don’t right? Well now you do. This perfectionist complex is something I’m working on. Daily. Anyway! For the last, oh, three years mister and I have been saying that we’re going to organize the garage. Get rid of stuff we don’t need or want and put the rest into nice storage tubs all lined up on shelves. That hasn’t happened. At all. Probably because we never really had a reason to actually clean the garage. I mean we would shuffle stuff around and stack the boxes nicely when it got out of control, but we never actually got rid of anything. Well, now we have a reason to clean the garage. It looks like we may be getting a boat! That’s a story for another time, but we’re hoping the new boat will fit in the garage if the garage is cleaned out. And thus, #projectgarage was born! 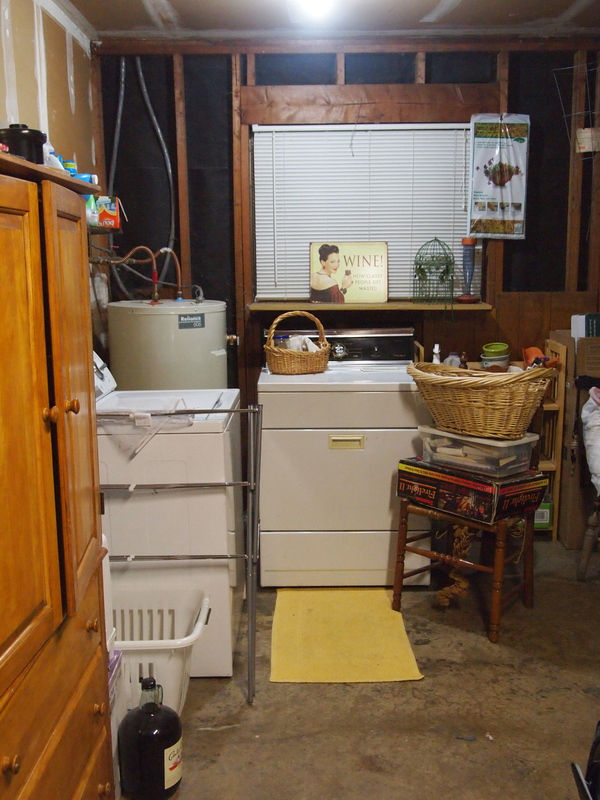 Cleaning and organizing a space that size is a huge project that is easily overwhelming. Where do you even start? In the corner? With the boxes? What about the Christmas stuff? It’s enough to give you a headache and want to quit before you’ve even started. So how do you eat a giant cheeseburger? One bite at a time! Starting this weekend I began spending 30 minutes a day in the garage solely working on small projects. I set a timer, put on some music or a podcast and just work for 30 solid minutes. The time flies and it is so much less intimidating! The first day I focused on the laundry area. Our washer and dryer are in the corner so I cleaned up the shelves above and organized our cleaning products. 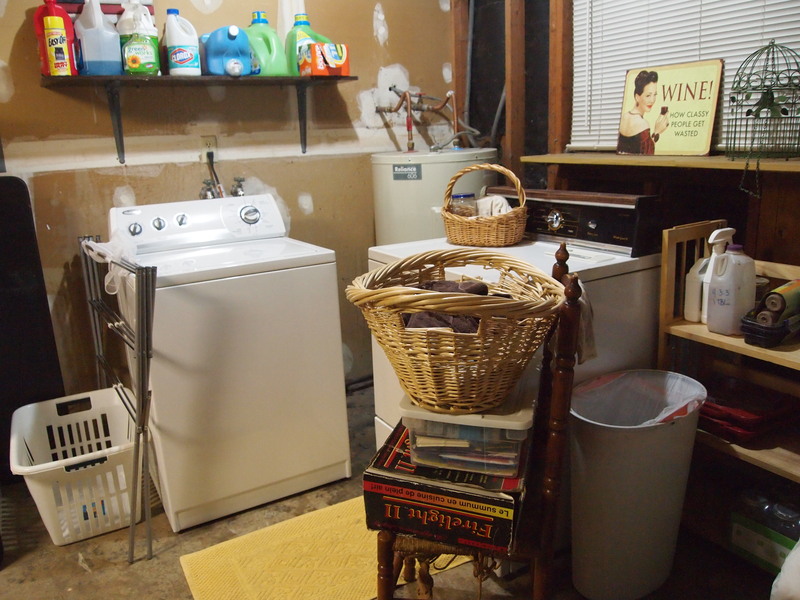 Then I cleaned off all the surfaces and organized the garden stuff into a little bookshelf next to the dryer. 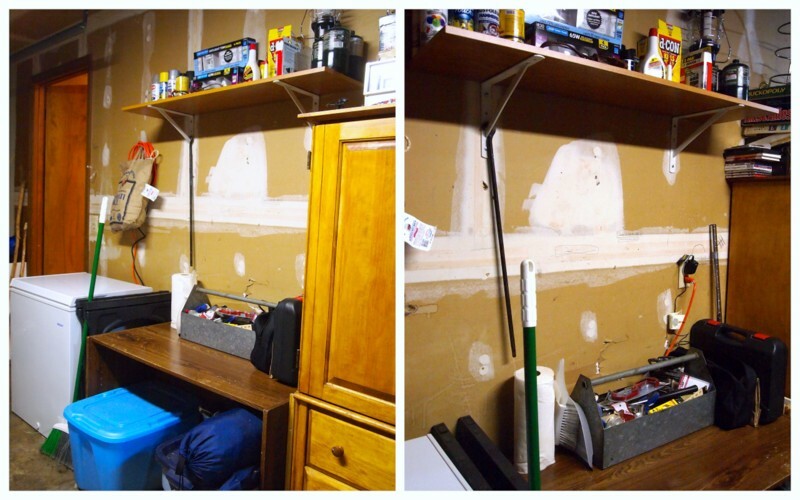 I designated an area at the front of the garage for larger items that need to be taken away. The second day I decided I wanted all my craft supplies to be stored in the cabinet that used to store all our extra goods from Costco and house decorations that we’re not using at this moment. 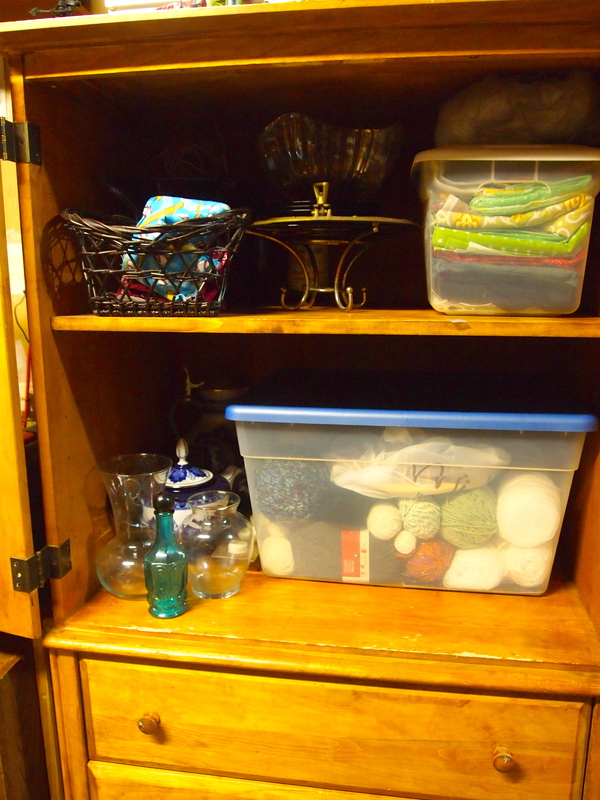 I put my fabric in one clear storage bin and my yarn in another and made room for both of them. I will need to find somewhere to put the decorations that were in there but I think I can make room for them in my linen closet. There are still some craft supplies around the garage so I will definitely need more storage solutions here, but I think this is a good start. Day three we hung a shelf above an old desk that has been a dumping ground for all sorts of miscellaneous junk. All the spray paint and tools went on the shelf along with some other random things. Eventually I want to add some peg board to this area for easier access to our tools. So there are no before pictures, only after, I hope that doesn’t matter. From here on out I’ll try to be more diligent at taking a picture before I start working. 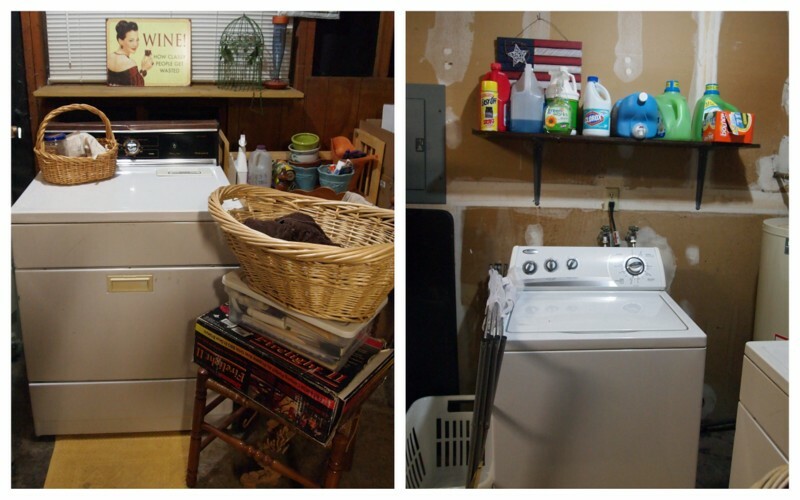 What household projects have you been putting off? Would working on them a little bit at a time help you accomplish them? It really is amazing what you can accomplish in only 30 minutes.